Although the name Warren Boyd might not resonate with some of you, the self-proclaimed “extreme interventionist” is known to a lot of Hollywood celebrities – those who have had their fair share of battles with drugs and alcohol. Warren in fact even has a show based on his life and job, Benjamin Bratt’s A&E series, “The Cleaner”. Warren battled a 20-year drug addiction with alcohol, cocaine, and crystal meth and upon getting clean has since devoted his time and energy helping others do the same. 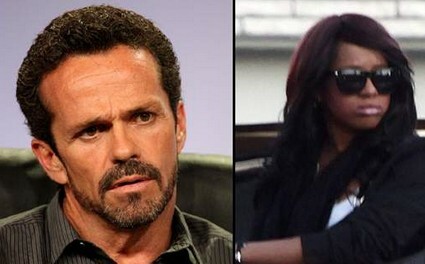 It is believed that he is currently at the side of Bobbi Kristina, Whitney Houston’s 18-year-old daughter. Bobbi Kristina has a special bond with Boyd, as he helped Whitney battle her struggles with addiction. It is said that he was called immediately upon the news of Whitney’s death broke, and was seen escorting Bobbi Kristina out of her mother’s funeral. Boyd was also believed to have helped Courtney Love with his extreme intervention measures, as well as musician and former heroine addict Ashley Hamilton. Hopefully Bobbi Kristina is getting the help she needs in order to cope with the horrible tragedy she has been faced with. Perhaps Whitney couldn’t battle her addictions, but hopefully her daughter’s future happiness and health is in the right hands.